Our company, Amera Solutions, is the trusted resource for non emergency medical transportation in Tampa, Florida. Back in 2004, our founder recognized a void that was having a negative impact on the community. Far too many people that needed transportation to hospitals and transportation to medical appointments were unable to find a reliable medical transport resource. It was particularly difficult for people that required wheelchair transport and transportation for the handicapped in Tampa, FL. He decided to take action, and Amera Solutions was born. Whenever you need a nonemergency ambulance service for any reason, we can accommodate your needs. We have comfortable, dependable sedans that can get you to your doctor appointments, outpatient treatments, or physical therapy sessions if you don’t have much trouble getting around. 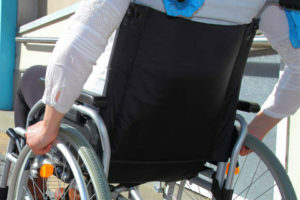 And as we have stated, if you need a wheelchair transport in Tampa, Florida, we are here for you, and we have vehicles that can accommodate stretchers and gurneys as well. Plus, if you need dialysis transportation, simply give us a call, explain the details, and we will do the rest. In addition to the medical transportation services that we provide in motor vehicles, we are the leading medical air transport company in the Tampa-St. Petersburg area. Our air medical support staff can provide the appropriate attention en route, so we provide turnkey assistance if you need an air ambulance for yourself or a loved one. When a charter is necessary, we can accommodate your needs. However, in some cases, a patient can fly commercial with a qualified medical attendant. This is another service that we provide. We focus on the needs of each and every one of our clients individually. All of our team members are qualified professionals, but they are also caring individuals. When you engage us to provide transportation to a hospital or transportation to a medical appointment, you will receive top-notch service every step of the way. While it is true that we spare no expense to provide safe, custom crafted medical transportation solutions, our prices are quite affordable. In fact, our rates start at just $15, and we accept private insurance and all major credit cards. If you would like to discuss your needs with one of our knowledgeable Tampa, Florida non emergency transportation consultants, we can be reached by phone toll-free at 855-263-7215.